If some of my Facebook feedback is any indicator, pickles (other than the boring dills you put on your burger) have gotten a bad rap. The mere mention of pickled beets is enough to send people running for cover. Even regular old pickled cucumbers are anathema if they are any different than Vlasic. How did the ancient and historically important pickle become a target of such ire? Are there some really vile pickle makers out there destroying pickling’s reputation? If so, I am here to right the wrongs. I will be the pickle super hero. Armed with my new book, I will bring pickles back to their rightful place: front and center, part of everyone’s diet! Ok, maybe not. But I will be pickling everything I can get my hands on. Pickling is an important method of preserving. 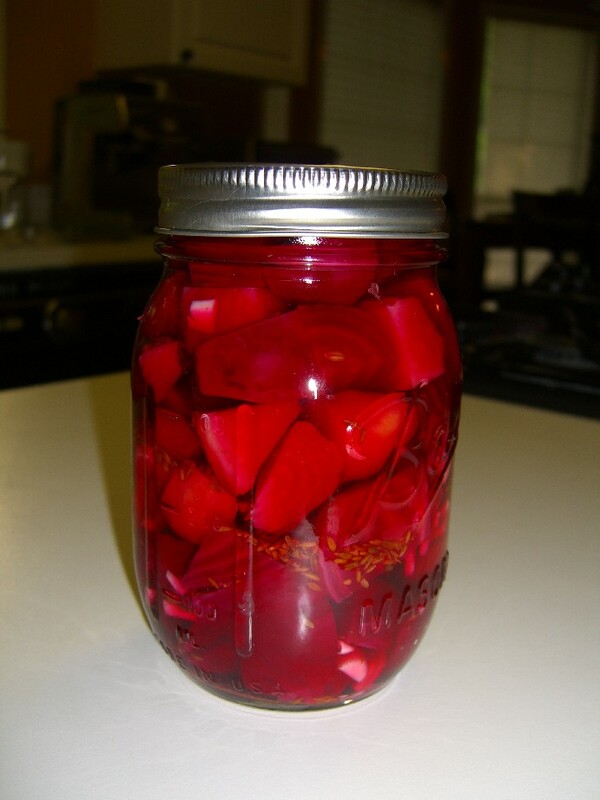 You can do shelf stable vegetables in a waterbath canner if they are pickled without fear of the dreaded botulism. You can pickle just about any veggie (an some fruits). And I intend to pickle as many as I can get my hands on. I recently pickled some asparagus, a vegetable indicative of spring if ever there was one. Since I canned them, and I hate to just can one thing when I’ve got that ginormous pot of boiling water going, I decided to do another pickle, too. Pumpkin and butternut squash. I know what you’re thinking. Well, maybe not. I try not to use those words. But seriously, who pickles pumpkin? Or butternut squash? Well, apparently Linda Ziedrich, author of the Joy of Pickling does. 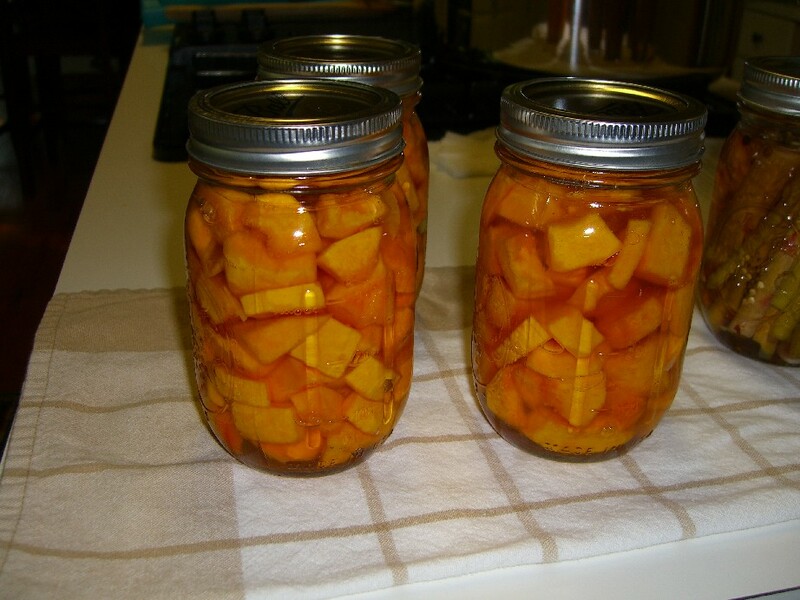 Using her recipe for a sweet and sour pickle brine I cut up the remaining pumpkin and butternut squash left on my counter and canned the little suckers. I’m a little nervous about this one. I mean, especially the pumpkin. It’s been on my counter for a long time. I can’t even remember when I got it. I would venture to say…well…months. But it was still hard on the outside. The squash, too. The insides were a little dry but they smelled ok.
Ok, I’m justifying. But it was either pickle them or throw them away, and how I hate to toss good food. So there are three pints of pickled pumpkin and squash sitting in my pantry waiting patiently three weeks until they are supposed to be fit to eat. I’ll report back. Since I was up to my ears in cool pickle recipes, I went a little hog wild. I pickled a LOT of stuff as refrigerator or “quick” pickles. 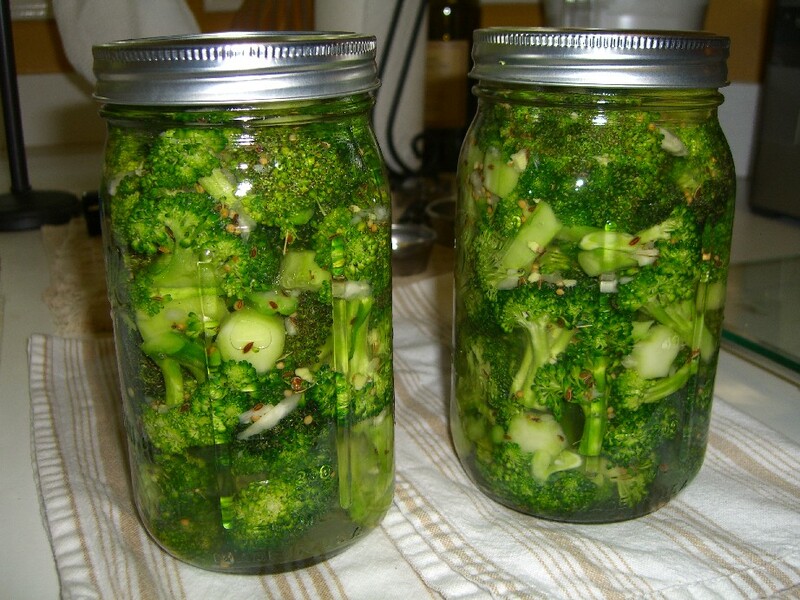 I pickled broccoli. 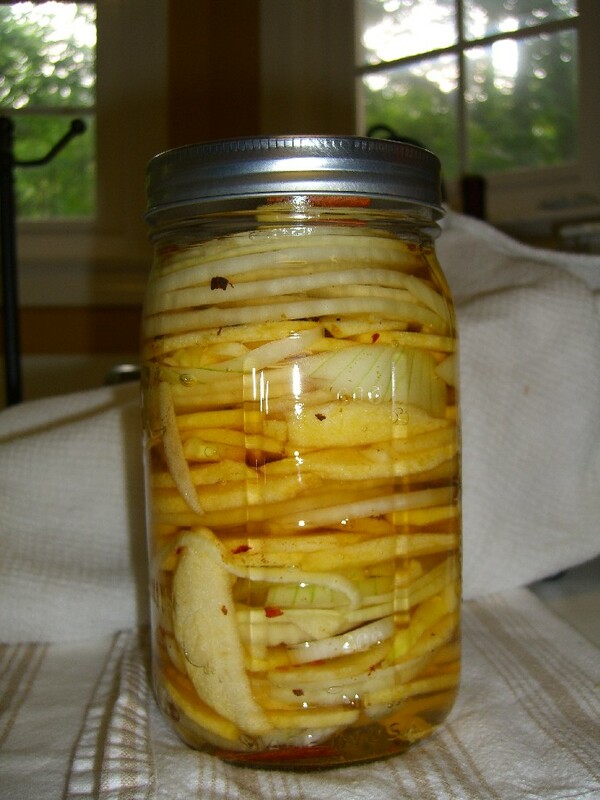 I pickled apples and onions (yes, together.) I pickled beets in a kind of Moroccan style brine with toasted cumin seeds (which by the way I found only at one Whole Foods that had them in bins where you could buy in bulk – or in my case by the table spoon). Now, the beets are good. Very unique and tart and kind of savory thanks to the cumin. I like ‘em. Those are the only ones so far that are ready. The rest of them I have to wait at least a week before eating. A WEEK. Rude. Now that’s a pickle. I want to eat them, but I don’t want to have them before their prime and add to the anti-pickle bias with a bad pickle. So I’ll be patient. I’ll stare at them a minute each day and wonder how they’re coming along with their bad selves, pickling away in the dark recesses of my Maytag. This is going to be a long week or two. The apples and onions sound good. What’s the recipe on that one?